My strawberry plants are really coming on. I planted a strawberry patch 3 years ago and this year has been the best year yet for strawberries. I have picked at least 15 quarts and there is still at least a week to go. Not too bad for a ten dollar investment! 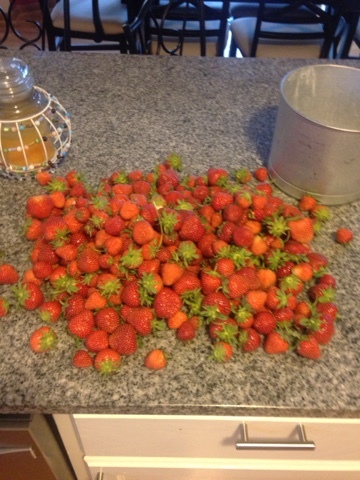 What am I doing with all the strawberries? We have ate a lot while picking, we have given some away to family, the birds have helped themselves to some, we are eating them for breakfast, lunch and dinner. We are trying our best! Although, we are doing our best effort to keep up with production but we are falling behind. It is time for making some homemade strawberry jam! Making homemade strawberry jam is something that every family needs to try. I remember going to the strawberry fields as a kid and eating the freezer jam that came after the trip. 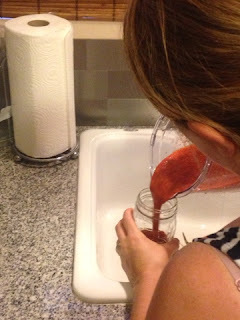 Making homemade strawberry jam is fun for the family and it tastes great. Making homemade strawberry jam is very simple. There are quite a few ways to make homemade strawberry jam but we prefer to keep it simple. Our method only uses chia seeds, honey, water and of course strawberries. The jam tastes very good and is much better for you than the versions with sugar, sugar and more sugar. The recipe we used calls for 4 tablespoons honey, 4 tablespoons WARM water, 4 tablespoons chia seed and 4 quarts of sliced strawberries. 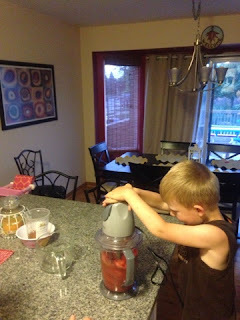 We put all the ingredients in a blender and then mixed for a few minutes. Once the mixer did its job, we put the jam in jars. 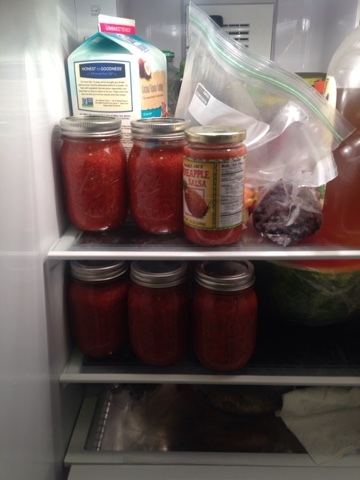 The jars need to be in the refrigerator for an hour and then they can be frozen or consumed. Pretty easy eh? Pictures from our fun day! One of the buckets full! Pouring the jam in to a jar. 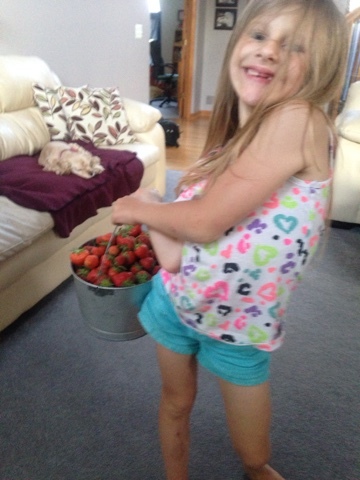 If you are looking for some family fun this year, consider making some strawberry jam. I suggest growing your own but you could always go to the local farmer's market or strawberry patch to buy some. If you are interested in learning more about other fun projects my family tries, click the link below that will allow you to follow me on social media or via email. I look forward to sharing my progress with you.